Living on the Isle Of Wight (Yup, that's where I've been hiding!) I like to think of myself a fairly experienced festival-goer! 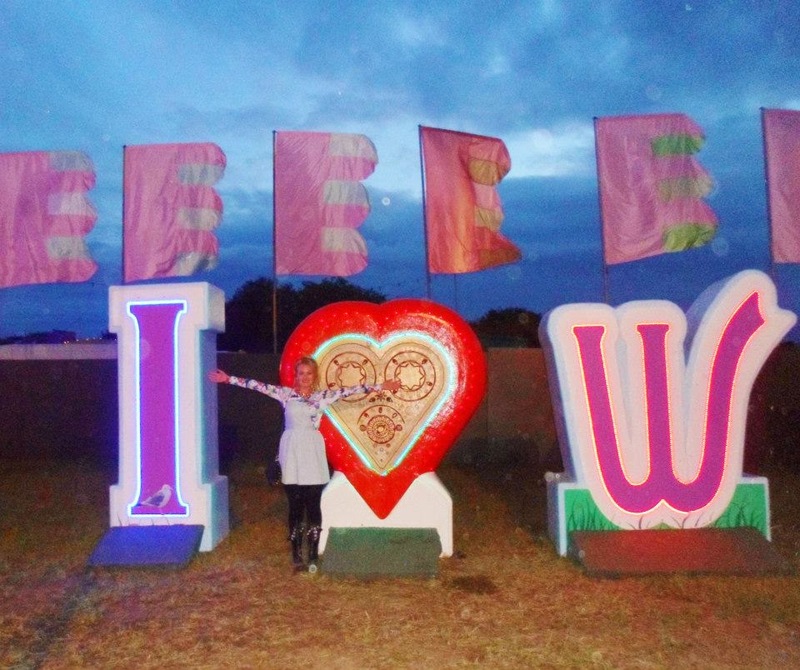 Having the Isle Of Wight Festival & Bestival on my doorstep every year means I've been too about 13 Festivals since I was 15 and with those had the most amazing times with amazing people and of course seen the most amazing bands/artists! Over the last 9 years I'd like to think that I've learnt alot about Festival-going and know exactly what I need to pack along with my tent and alcohol, I'm a huge girly girl and definitely need to feel clean and fabulous still.... even if I'm surrounded by sweaty drunk fools, stinky porta-loos and muddy puddles! 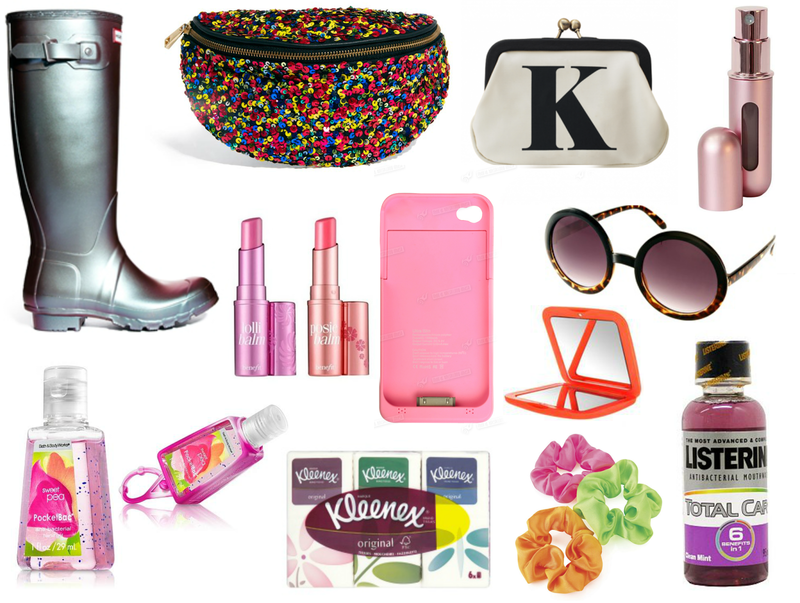 So I've put together a few small essentials that will help get you festival ready in no time, some may be obvious & some you may have never even thought of! Obviously I'm very lucky and even if camp I can always head home for a lovely warm shower and a change of clothes.... one day I WILL do a Festival properly though! Travalo : Now if you haven't heard of these yet you have been seriously missing out! The perfect (and only) way to take your favourite perfume along with you while taking up no space in your bags! Just pop the top off your choosen perfume to reveal the white stick and pump this bottle on top - your perfume is transferred into the mini bottle, perfect for travelling, perfect for Festivals! I have 2 and they are a god-send! Anti-Bacterial Hand Gel & Holder : This has got to be number 1 on the 'Things to take to a festival list'. You will need to use anti-bac... alot - those portaloos are GROSS, believe me I have seen some sights in my time! These hand gels have amazing clip on holders too so just clip it onto your bag/shorts/anything and you wont have to route around your bag with dirty hands to find it! Mini Mouthwash : Brushing your teeth... with a toothbrush, toothpaste, water ... is a bit of a mission if your sat at your tent in the middle of the day, in the middle of a field! Mouthwash's are great to take with you and leave in your tent for when you want to freshen up! Just spit into sn old cup and pop it in the bin when you're done! Fresh breath and no hassle! Chewing Gum will just annoy you when you're drinking or eating all afternoon/evening! Bumbag : A bag with no straps, nothing to carry, nothing to leave behind and forget, all your belongings with you zipped in at all times .... bumbags are the perfect Festival bag to keep your prized possessions safe and sound! Also great for when you need the loo! Wellies : I don't care what anyone say - even it is was boiling hot... I'd always wear wellies... do you know how disgusting some of those loo's are? You o NOT want to be walking around those areas with sandals or trainers... think of the germs! Eww! Also.... an amazing work out - wellies are heavy, like wearing ankle weights, and the amount of walking you do at festival is bound to help you tone those pins up! Pocket Tissues : Because no-one likes being stuck in a loo without any loo roll... and that will happen alot! Top Tip: Hide them before you go into the toilet or you will have everyone and their grandma asking for one... and it's not that you are selfish but you don't want to be left empty handed later on in the day because you've been Mrs. Generous in the loo queue! iPhone Charging Case : Well this is a genius idea! Yes there are places that will charge your phone for you for a few hours BUT if you're in the middle of a crowd, waiting for a band or popping to the bar/loo on your own the worst thing is your phone battery deciding to die! So... whack this case on, easy peasy! Not only will it protect your phone but you can choose when to give your phone a bit of extra charge - perfect! Sunglasses : Obviously you need sunglasses to protect your eyes from the sun, but they are also amazing to hide half of your face! Lack of sleep, too much to drink, couldn't be bothered to put make-up on, or you did put make-up on but that 7 hours ago and you aren't looking too fresh - sunglasses are the answer! There are so many to choose you so you can look like a fashionista at the same time! Hair Scrunchies : Weather it is too hot and you are sweating a bucket in the crowd or it's chucking it down with rain and the windswept looking really isn't your thing there will be a point where your hair will need to go up. Like on top of your head up. So what better than a scrunchie - hair's up and you look cool at the same time, perfect! Just wear round your wrist in the day so it's always at the ready! A Good Lip Product : Like I said before you will probably be wearing sunglasses which means the only key make-up feature that people will see will be those lovely lips! Lipstick is obviously amazing and my personal fav but isn't always great if it's hot, as it melts and if you are drinking alot it can smudge! So you could always take good tinted lipbalm or lipgloss along too! Tip : If it is hot and sunny, do NOT use vaseline - that will burn your lips! Coin Purse : NEVER take all your cards to a Festival - just have one bank card (if you can) for emergencies, your ID (If you're over 18) and cash. You only need a little coin purse for these things - perfect for your small bag/bumbag, making more room for all your other essentials/valuables that you want to carry around with you! Compact Mirror : It's not like you can go and check yourself out in those public loos because... just no - they have no mirrors and if they do you don't want to hang around in them to reapply your lippy! A little mirror in your bag is vital for us girly-girls! This is a great festival guide, I wish I had a festival on my door step every year. I have those Hunters, they're great. The charging case is such a great idea, I must invest. Those iPhone cases are the best idea ever, I definitely need to get one of those! Some nice things on here. Definitely agree about wellies - would rather wear them when it's sweltering hot than be without them when it's peeing it down all day! The new benefit lip products are going to be perfect for festival season! This festival guide is just too cute !